SEO experts put much of their focus on the all-powerful link. Gaining links on reputable sites around the web is easily one of the most important components in the SEO equation. And one of the most important parts of the link earning process is appealing to writers. The people who write for the web make choices every day about what links to include in blog posts and articles. We’re not thinking about how those links will help the brands behind them (except for when the brands are our clients), our priority is providing something valuable to the reader. Every professional content writer has some general guidelines when it comes to choosing what content to link to and weeding out the websites that aren’t worthy of a link. I know what I look for in a link, but I got in touch with a number of other content writers to gain a fuller picture of what writers are thinking when adding a link to a piece of content. Unsurprisingly, there was a lot of overlap in what different writers said they looked for in a link. All together, seven main themes came up in the answers that can help you understand what type of content you can expect to earn links. This is by far the most common answer I heard and unfortunately one that isn’t easy for a lot of marketers to achieve. “Ultimately, I don’t just want to send my readers to an asset so much as I want to send them to a fountain of assets. So I don’t hesitate to link to Orbit Media, Copyblogger, CMI, MarketingProfs and blogs I know will deliver for years to come because I trust the head honcho or editorial staff.” – Barry Feldman, Feldman Creative. For a writer like him, you can’t focus on creating one piece of great, useful content. You have to do the hard work of creating high-quality content over and over again for long enough to build up a solid reputation. “I would say I try first and foremost to link to articles from respected publications. This includes both news/magazine sites with storied reputations, as well as niche and expertise sites from more digital-age publications.” – Leah Levy, Content Strategist and Storyteller. This is clearly in the same theme as what Barry said, but adds an extra takeaway: there’s value in focus. Covering a wider array of topics could dilute how much of an authority your website appears to be on one of them. Keeping your focus narrower is easier – you’re less likely to overextend your resources – and it can pay off in building up your brand’s reputation as an authority in one thing. If the possibility of becoming a website with a Copyblogger-sized reputation seems daunting to you, you can find other ways to get onto the radar of a writer. “The first thing I look for is a site or author I recognize as an authority. This may be because they’ve spoken at a conference I attended or heard about, they’ve been a guest on a podcast or Twitter chat I frequent, or because other people I respect have shared their content.” – Linda Dessau, Content Mastery Guide. If you can show writers that you’re trustworthy in more direct formats (interacting with them at conferences or on social media), you may be able to gain some of the authority required to earn those links. If you work in an industry that moves fast, you can probably gain some attention and short-term engagement from publishing content that covers updates and temporary trends. If you want to earn links over time though, multiple writers told me that evergreen content is the ticket. “I write a lot of service pieces (for instance, how to earn more credit card points or choose a coworking space), so I tend to link to evergreen content (meaning it’s not date-specific) that’s useful, well-written and relevant to my story.” – Susan Johnston Taylor, Freelance Writer. If we link to something that either is or will soon become outdated, then we’re dating our own piece and making it less valuable to future readers. “I don’t like linking to content that’s older than three years, tops. I like to link to industry content that’s fresh and relevant.” – Terri Scott, Writer and Strategist. This doesn’t necessarily mean that your old content is worthless. Anything that’s evergreen in terms of its topic matter is probably still useful, and anything that’s become outdated presents a good opportunity for an update. If you review your old posts periodically in order to spot outdated information and make it fresh again, you can keep any authority and backlinks the page has earned since it was published, while also making it worthy of earning new links. One of the main types of content I link to with the most frequency is statistical research. Whenever possible, I want to show that the points I make in a post are backed up by data. If there’s a statistic out there that supports what I’m saying, I find it, I use it, and I include a link back to the source. I’m not alone and, conveniently, there’s data that backs that up. Orbit Media’s own research post on how successful bloggers work earned hundreds of backlinks and thousands of shares. The web is full of people making conjectures or simply misstating information. Research that’s backed by surveys and data is more tangible, it’s something we know readers can count on to be reasonably accurate. One of the other great ways to provide validity to a point is finding a good real-life example of it. Sometimes that requires finding a source and conducting an interview or scouring the web for examples, but both of those methods take a lot of work. That means when someone (maybe you?) does us the favor of creating posts or articles that describe case studies that support our point – or even better, writes a post with multiple case studies like Carol mentioned– that provides us with a preferable shortcut. Most businesses create their case studies with the goal of converting current leads in mind, not building links. If you review the case studies you have for potential insights they support, you can re-work them into stories for blog posts that people like me may well find useful in backing up a case we make in an article, thus earning you a link. The case for long-form content is strong. Google likes it. Many websites have found that longer posts get more shares and higher engagement. And writers like it. 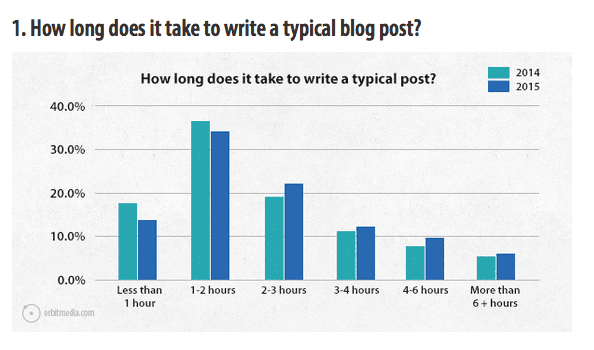 If I were writing a whole post on the value of long form content, I’d give you 1000+ words on that. Because this is only one section in the post, I’m giving you links to value-packed, in-depth blog posts from reputable sources that elaborate on the how and why. When I look for links that serve this purpose (expounding on a point that isn’t the primary focus of my post), I’m looking for something that gives the fullest version of the story possible. Your 500-word post that brushes the surface won’t cut it. You have to go deeper than that. In the same way that linking to an outdated post can make what we’re writing immediately outdated, linking to a post or article that doesn’t provide solid sources for what it’s saying makes our own work appear less trustworthy and valuable. “When validating a point in a post, I will incorporate a snippet and link from a credible source. Neutral content from an academic or an established mainstream source strengthens a theme.” – Christine Moline, Writer and Editor. If all the links included in a post go to other trustworthy sources, that lets us know that the writer knows how to do good research and we can trust what they’re saying. This point’s rather circular – in order to make sure our posts are the kind of thing that other writers will link to, we have to be sure only to link to other sources that are trustworthy. To make writers more likely to link to your posts, you should do the same. In most cases, the best way to earn links is to create content worth linking to. But one of the other reasons a writer might link to you is if you do work worthy of using as an example. “I link to examples of best practices for whatever point I am trying to illustrate. Usually I run across these in my own reading and I save the links for use later. Most of them are B2B examples of really good content writing.” – Phaedra Hise, Writer and Content Maven. If you do the kind of marketing that’s worth pointing to as an example – this could be in the form of your writing, your website design, your videos, your mobile site, or any number of other forms of marketing – you could earn the privilege of being linked to as an example of how to do things right. That’s an especially nice kind of link to earn. None of these tips will guarantee you links, the biggest challenge you have is still becoming one of the easiest websites for writers to find relevant content.. The higher your content moves up the search engine rankings, the more likely you are to become the website writers find and link to, which in turn helps you move even further up. Earning links is an uphill battle to start, but once you begin to earn credibility with writers, the job becomes easier. If you can reach the point where your website is one of the resources we consistently turn to for trustworthy and relevant content, the battle will be won. Kristen Hicks is a freelance writer who has worked with businesses in a variety of industries, including education, technology, and senior care. Check out her blog at Austin Copywriter, or follow her on Twitter.